My Smart Shirt believes that we can have a positive impact and we are proud to give back a portion of our proceeds to community non-profits. One smart t-shirt at a time, we can be the change we want to see in the world! We support SERV International as a Corporate Partner. At My Smart Shirt, we believe we can change the world one smart shirt at a time. We are proud to give back to our community and the world in big and small ways. That’s why we have partnered with SERV International and strive to share our success with those less fortunate. SERV International is an Atlanta based 501C3 non-profit organization feeding the malnourished globally via 100% pass-through donations. Food*Water*Shelter*Life. Through our Buy a Shirt, Feed a Child program we will be able to feed children in remote regions of Africa, the Dominican Republic and Honduras that no other organizations are reaching. By purchasing products from My Smart Shirt, you can make a difference through SERV as well. 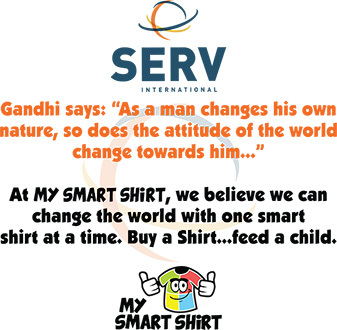 My Smart Shirt helps feed a SERV International child for a day with every custom designed shirt you purchase. Buy a shirt = feed a child. Now that is a smart shirt! SERV International is proud of our partnership with My Smart Shirt! As our apparel and printables supplier, My Smart Shirt not only keeps us in custom gear for all of our events but more importantly My Smart Shirt feeds one child for a whole day every time they sell a t-shirt. On time, on budget, great quality, amazing customer service AND focused on giving back. That's a smart partnership! $35 per month provides clean water for a family for 5 years. 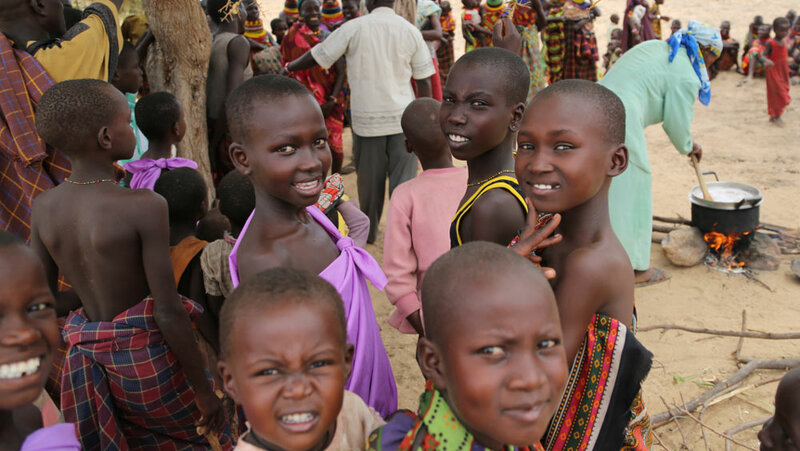 If you would like to learn more about SERV and the work they are doing to change lives in remote areas, please visit their website at servone.org you’ll be glad you stopped by.